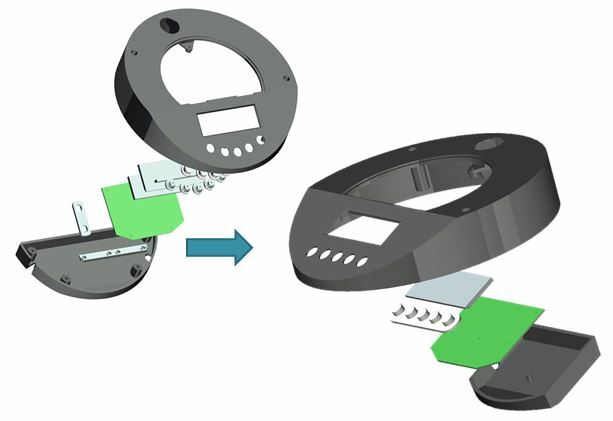 Investigate and propose improvements for an existing product to reduce costs attributed to manufacturing and assembly requirements. The following was carried out using the DFA method for manual assembly theorised by Geoff Boothroyd. 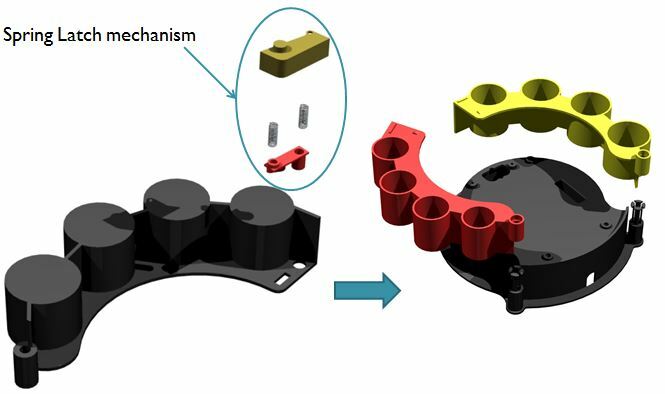 The product was disassembled to review the assembly sequence and identify each component and its function. From this point I identified two specific functions that could be improved to reduce components count (therefore tooling) and assembly time. 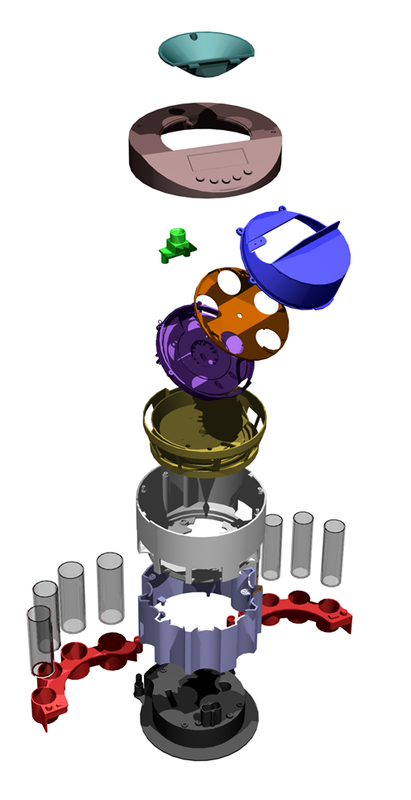 The Lid contained 29 components, however, with a redesign this was reduced to 6. The result is an assembly time of 26.47 seconds compared to the original 174.49 seconds and a design efficiency of 45%. Each Arm contained 7 components, however, with a redesign this was reduced to 1. The result is an assembly time of 5.45 seconds compared to the original 42.23 seconds and a design efficiency of 75.9%. 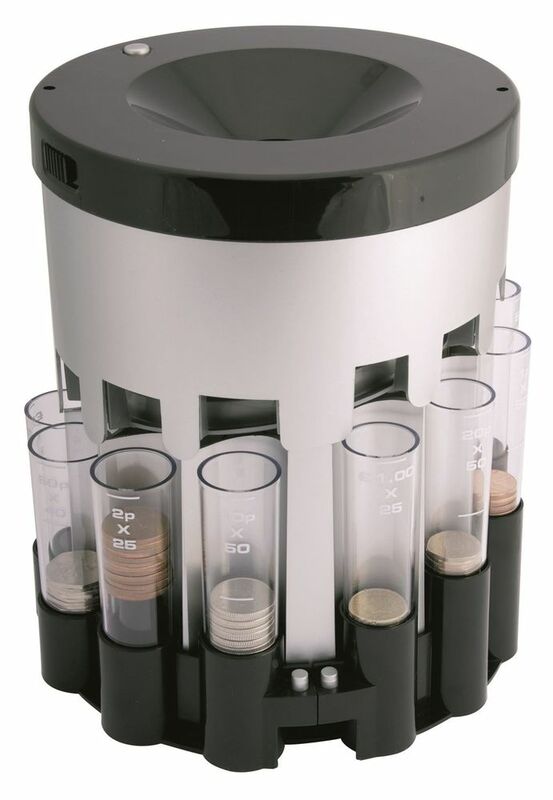 An electronic coin sorter reversed engineered, recreated and exploded in CAD. This entry was posted in Design for Assembly, Uncategorized. Bookmark the permalink.